Ahoy, Matey! If you are in charge of a marina, harbor, wharf or boat launch, and are looking for solutions for managing vehicle, trailer and boat parking access, Rydin has got what you need. 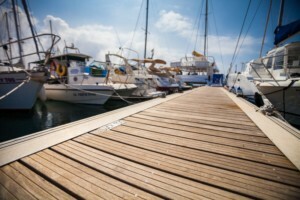 We work with hundreds of marinas to custom print their dock permits, parking permits, burgee decals, member decals, and many other marina specific products. Contact our talented Sales Team for additional information.